It’s Your Party Events has had great success with new clients who have found us on Thumbtack.com. So far we have completed 3 events including: Teresa & Chad’s Wedding in October 2013, Camille’s 13th Birthday in February 2014 and most recently, Samantha’s Quince in April 2014. We are looking forward to working with our 2 newest clients who found us through Thumbtack.com: Noor & Michael’s Wedding in May 2014 and Gabe & Shajena’s Wedding in July 2015. Here are some photos of our recent Thumbtack events! Enter the Dream Wedding Contest! 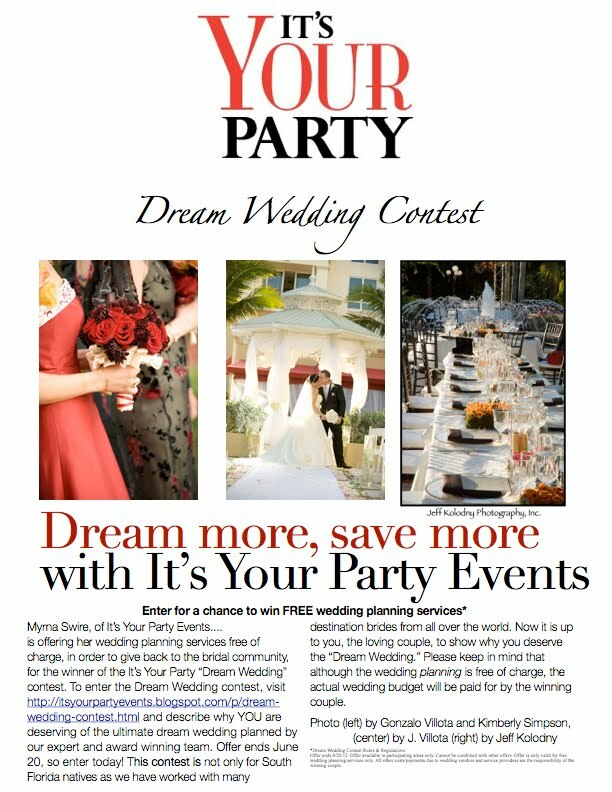 You could win FREE wedding planning services from Myrna Swire. Just click the “Dream Wedding” tab above.